The arrival of the house king, the dreamed baby, is a moment of complete happiness and what better to share it with everyone who is delighted with the news, one of the best ways is organizing a baby shower for the baby. 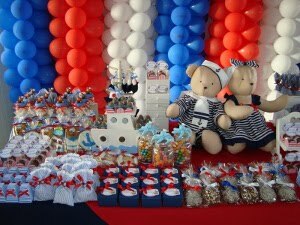 This parie, usually organized by the family or friends of the parents, and these are great guests, and of course, those who in the name of the baby, open all the gifts. 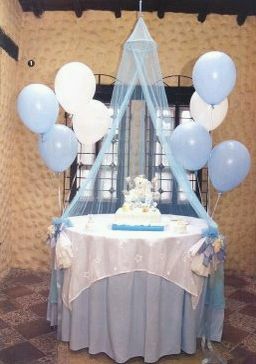 The best way to give these gestures of affection is offering a nice party for the guests, and as everything comes through the eyes, worry first by the decor of the room, but do not worry, if you're in charge of organizing the Baby Shower , here are some ideas that surely will help you. 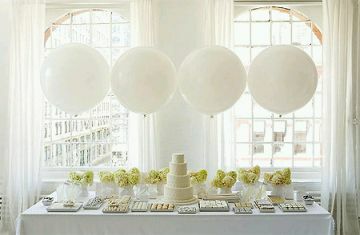 Sometimes you do not need much, just a bit of taste and imagination, the image shows how well the main table is simply placing white balloons. The center pieces are required, in this case also become part of the decoration of the roof, the height of the array. 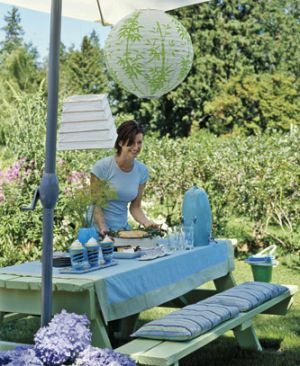 If you plan an outdoor celebration, not really the place to recharge much, just a simple but pleasant decoration, like the one pictured. 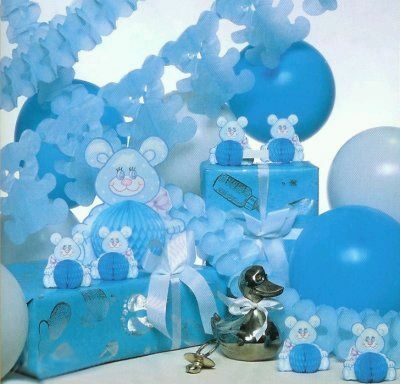 Another option is to decorate the rooms with balloons and figures, in this case these bears are very good role. Beautiful presentation with ornaments representing a sky with clouds and moons. If you prefer something with more color here's a good idea, balloon columns as a backdrop and head table bears some outfits sailors and a number of details on the same subject. 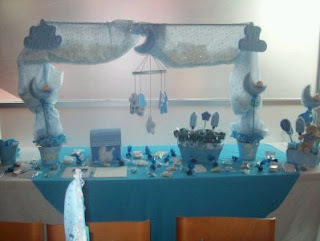 If you're worried about the main table decoration, this is an excellent suggestion. 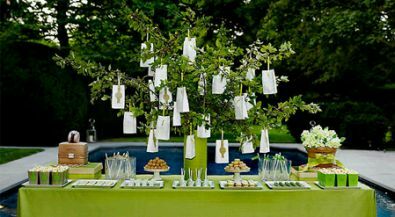 Elegance and good taste, are adjectives that describe this tree with hanging christening memories in it and a thin table decorated in green. 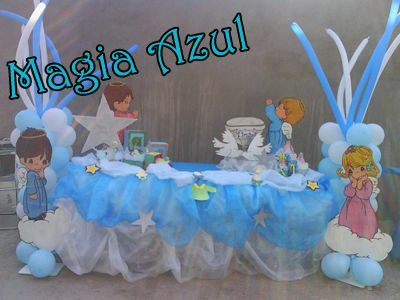 Finally, this decoration is also ideal for baby shower celebrations for children, combining balloons and draperies, looks good.